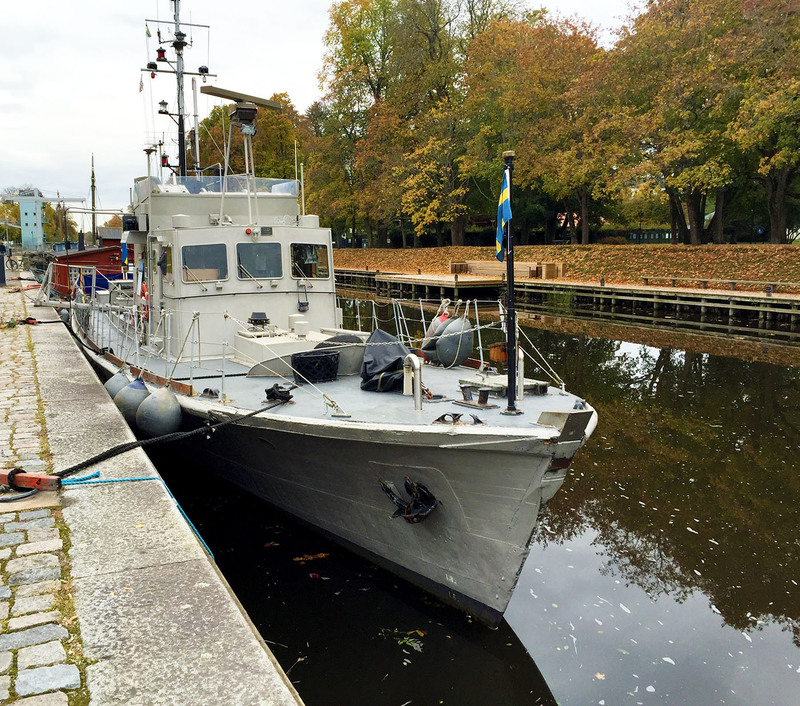 M 21 was delivered to the Swedish Navy on June 12, 1941 by Norrköping’s Ship Works and Mechanics and served as a mine sweeper until the 1970’s. She then underwent modernization to work (something about divers I think) and training vessels. In 1993 she was outfitted with a new aluminum wheel house and space in the mid-deck for three student alternative divers. Before being retired on August 28th, 2007, after 66 years of service, M 21 was the last of the wooden ships to be in active service and one of the world’s oldest serving war ships. She is now classified as a recreational ship and, since 2010, is listed by the Swedish National Maritime Museum. She is 27.7 meters in length (90 feet), 5.17 meters wide (16 feet). She displaces 70 metric tonnes. Her hull is constructed of Honduran mahogany.